Nearly 60% of Italian voters rejected Prime Minister Matteo Renzi’s attempted constitutional power grab by referendum endorsement. Following defeat, he announced his resignation on national television, “accept(ing) full responsibility,” adding he’ll officially resign on Monday. 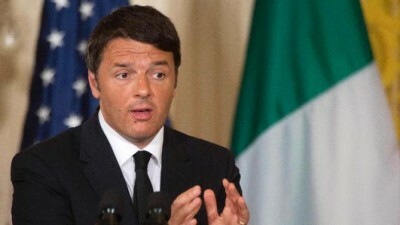 The referendum, supported by Renzi and his Democrat Party, was first introduced in April 2014. It was approved by Italy’s Senate and lower house Chamber of Deputies in October 2015 – followed by subsequent approvals with amendments in January and April 2016. It called for the popularly elected Senate, comprised of 315 members plus five lifetime ones, to be replaced by a 100-member body – 95 selected from regional councils, five appointed by Italy’s president, currently Sergio Mattarella. A referendum was held because a constitutionally required two-thirds majority in each house of parliament wasn’t achieved. A majority popular vote was required for it to become law. Approval would have granted Renzi’s government authoritarian powers, including denying senators the right to replace a sitting prime minister with another leader of their choice. Much like Brits voting for Brexit, the will of the people may not matter, ruling authorities in Italy and the UK perhaps ignoring it, continuing to govern as they wish. Brexit’s vote was advisory, not mandatory. Parliament has final say, MPs able to disregard the public will, alone empowered to choose Britain’s path. Its referendum was held last June. Prime Minister David Cameron resigned after its outcome, Theresa May replacing him. Despite saying “Brexit means Brexit,” she’s done nothing to begin the process for Britain to leave the EU by invoking Article 50 of the Lisbon Treaty, leaving in doubt whether she meant what she said. Italian referendum results followed by Renzi’s resignation doesn’t automatically mean new elections will be held, likely not. Expect a ruling party loyalist to replace him, general elections for both houses of parliament not scheduled until May 23, 2018.
Business as usual will likely continue for now. It remains to be seen if responsible change follows the next general election whenever it’s held. Given Italy’s modern history, don’t bet on it.